Soft neutral colors that go with anything and everything! 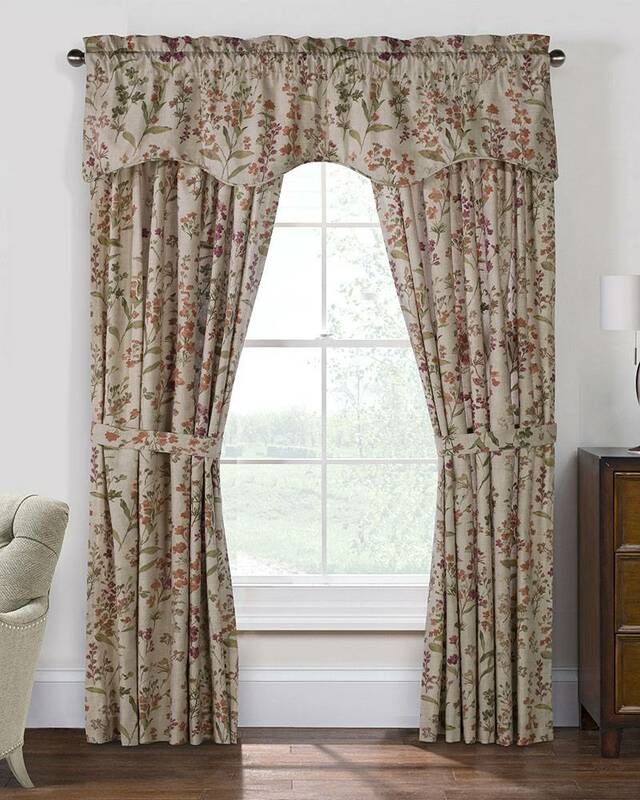 Showcasing a lovely allover floral print on a linen-like background, Rockport Lined Federal Valances have a self-piping along the graceful scalloped bottom edge of the valance. 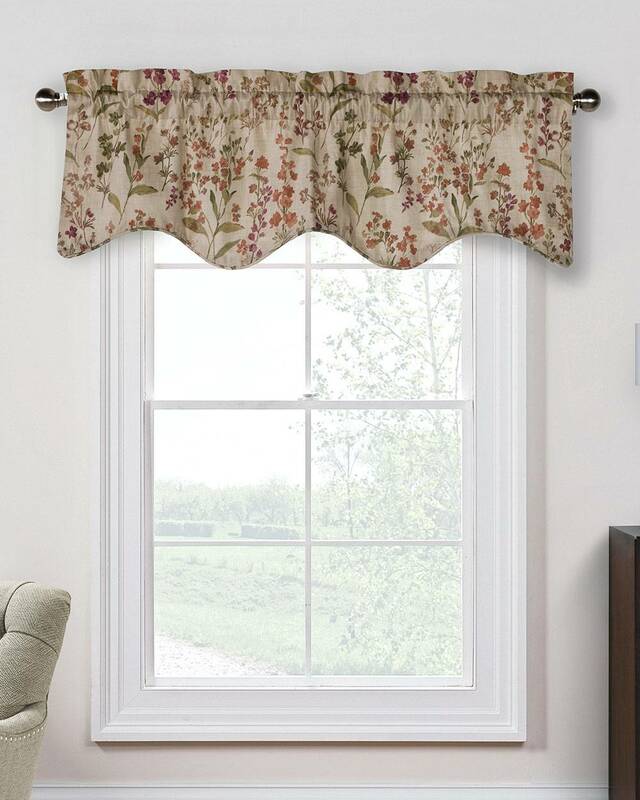 Printed on cotton and fully lined, this beautiful floral valance looks great hung alone or layered over Rockport Rod Pocket Curtains (sold separately - see Related Products tab below).